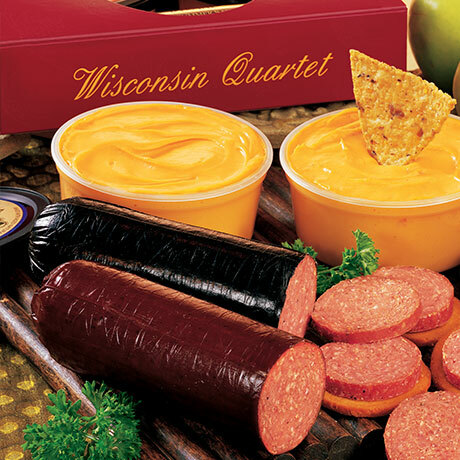 Two of our most popular pasteurized Wisconsin Cheese Snack Spreads are packaged with two varieties of delicious summer sausage in a handsome red box perfect for gift-giving. Contains: 6 oz. Sharp Cheddar Snack Spread, 6 oz. Jalapeño Snack Spread, 5 oz. Beef Summer Sausage, and 5 oz. Cajun Style Beef Summer Sausage.